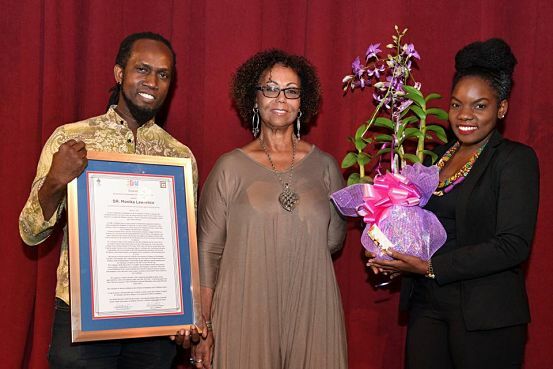 GETTING THEIR DUE: Lawrence accepting her plaque and floral gift from JDU organizers Michael Holgate and Renee McDonald; (below) Campbell-McFarlane expressing her gratitude for the recognition. They both have strong ties to the Catholic Church. 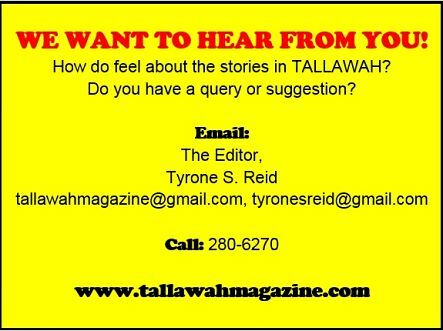 They are also products of the Eddie Thomas era, the long-serving Artistic Directors of dance companies they co-founded, choreographers, researchers, teachers, nurturers and all-around fine Jamaican women. There’s no way more fitting to describe Dr. MoniKa Lawrence (Stella Maris Dance Ensemble) and Monica Campbell-McFarlane (Movements Dance Company of Jamaica), the dynamic doyennes of Jamaican dance theatre who are the 2017 honorees of the Jamaica Dance Umbrella (JDU), now in its ninth year. On Thursday night, on the occasion of the launch of JDU 2017, the Mon-based Philip Sherlock Centre erupted with vociferous applause as the dance community paused to pay tribute to these leading ladies with glowing citations testimonials from esteemed colleagues, plaques and gorgeous floral gifts. Past JDU honorees include Barbara Requa, Tony Wilson, Alma Mock-Yen, Barry Moncrieffe and L’Antoinette Stines. Hailed as a creative genius who has trained and mentored a generation of dance artists in Jamaica, Campbell-McFarlane was the driving force that led to the birth of Movements in 1981. Next to the NDTC, it’s the second oldest dance theatre company in the island. Over the years, she’s lent her time and expertise to the Creative Production and Training Centre (CPTC), the Jamaica Cultural Development Commission (JCDC) and the Edna Manley College’s School of Dance. 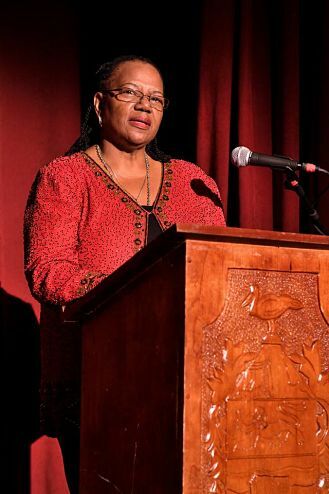 It was in 1986 that Dr. Lawrence founded the Stella Maris Dance Ensemble, which emerged out of her involvement with the Stella Maris Prep School. She’s an alumna of the NDTC, working closely with the late great Prof. Rex Nettleford. Since 2010, she’s been director of the Performing Arts at the University College of the Cayman Islands.